The Latest News | Wipe Easy Tablecloths - More new designs! We’ve recently added 5 fabulous new designs to our range. Check out the beautiful Botanical Garden, Brum-Brum, Mimi, Papillon and Postcards Eau de Nil tablecloths. We’re sure you’ll love them! 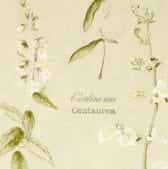 Botanical Garden – A dainty pattern of pretty flowers in lilac and cream over a beige background. 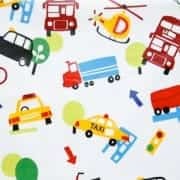 Brum Brum – Kids will love this bright tablecloth which is patterned with helicopters, cars and buses! 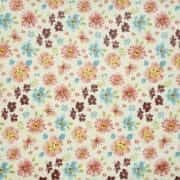 Mimi – This tablecloth features a wonderful mixture of spring and summer flowers, capturing the essence of the hazy summer months. Coloured petals of aubergine, aqua blue and blushing pink surround tiny butterflies. 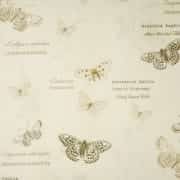 Papillon – A delicate pattern of butterflies over a creamy background – gorgeous! Postcards Eau de Nil – The colour of Eau de Nil became popular due to the Art Nouveau period. 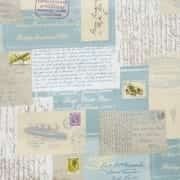 This charming oilcloth is a great choice, particularly for a writing desk or bureau.